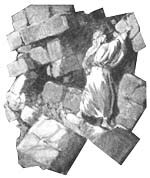 Ways in which sorting my apartment is like Nehemiah rebuilding the walls of Jerusalem. 1. The project was vastly needed. Broken walls/Ugly wallpaper. 2. The very nature of the opportunity coming about was altogether supernatural. King Artaxerxes had previously forbidden the walls to be rebuilt (Ezra 4) and suddenly he was helping Nehemiah out/I dialled the wrong number and STILL got someone renting a flat with my very specifications (here). 3. The people all pitched in to help. Nehemiah surveyed the damage alone and then proposed the project to Israel’s leaders and soon everyone was rebuilding and excited about doing it/ I saw the apartment (and its disarray) once and then brought friends back to see it again – they got all excited and offered to help. 5. Opposition from within. The Israelites started getting fed up with building/ I AM GETTING FED UP WITH PAINTING!!!!!!! 6. More opposition from without. Nehemiah and the people are getting somewhere but all sorts of complaints and attempts to stop the work/ I have managed to get internet and phone into my apartment but am still wrestling with the gas company, the electricity company, the gas boiler service company, the kitchen appliance delivery guys, the furniture delivery guys, the weather and I think my neighbours already hate me. 7. The walls get finished, the law is read and they all live happily ever after (more or less! )… Please Lord!!!!???? Twist in the Tale : Go Figure. I’ve been looking for a flat here in France. Not as fast-flowing as I had expected – much like a lot of things really. The time of the viewing finally arrived, but the landlord did not. A few muttered apologies : “I thought I had told you the meeting was pushed back?”, repeated promises : “I’ll keep you posted…” but ultimately a no-goer. Start from scratch once more. On the same website I had seen another apartment that fitted my criteria. So I dialed the number beside the announcement. A man answers. So despite some obvious confusion on the landlord’s part – and subsequently on my part – we eventually reached the consensus that I would go to the apartment where a neighbour would let me in and show me around the next afternoon. He asked me to call him back after the viewing and let him know either way – even to the point of letting him know what I didn’t like about it. So I agreed. The following afternoon I visit the apartment. The area is nice – there is a lot of greenery around, a small supermarket, a Post Office, a branch of my bank, a library… The building is good – its near a frequent bus route, its only three floors so not too many people… The size and shape of the apartment is good – a balcony to watch the sunset from, on the top floor so no-one is walking over my head, a kitchen with a door to close and pretend the dishes are done… But its kind of grotty and the decoration is pretty horrible. Plus, it looks nothing like the photos he had on the website. I decide I’ll call the landlord back and be honest about what I think and see if he is willing to change any of the floor coverings or decoration for me. Having not taken note of the phone number, I go back to the website advertisement where I had first found his number and dialled it again. This time a woman answers. She sounds much younger than the gentleman I spoke to before and so I wonder if she’s his daughter. I begin to explain that I called last night about the apartment, but it wasn’t her I spoke to. “I don’t think we had any calls last night” she says. “Oh. 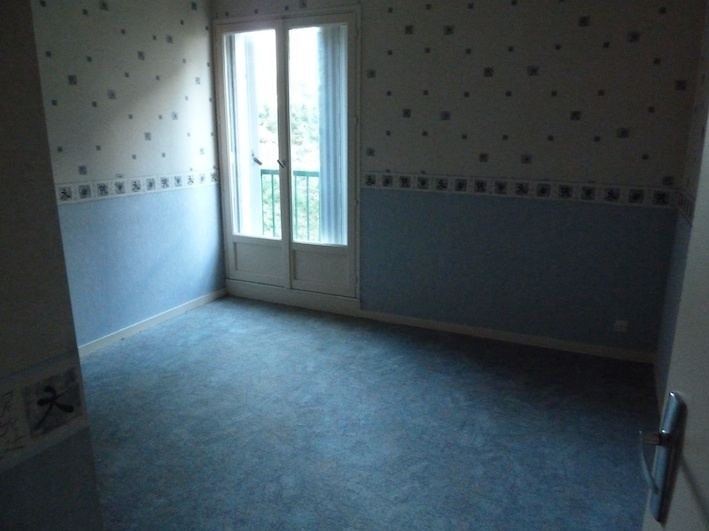 Do you have an apartment to rent in the north of the city?” I ask, confusion mounting. “Oh. Perhaps I rang the wrong number – sorry for disturbing you.” Hmm… that’s weird. I check the number I dialled – I definitely just called the number that was on the website and yet got somebody different. Weird. So now I’m stuck – I’m supposed to call back, but evidently I had called the wrong number the night before. I ring the neighbour who showed me round the apartment and she is (after some panicked searching) able to give me the number of the landlord of the flat she showed me round. I compare it with the number on the website. One figure different. Can you imagine? I made a mistake in reading the number on the advertisement for a flat on this website – I wrongly dialled one digit in the phone number and even though I called the wrong number, I STILL MANAGED TO TALK TO SOMEONE WHO HAD A FLAT TO RENT WHICH WAS IN THE AREA I NEEDED, HAD THE EXACT SPECIFICATIONS I WANTED AND WAS EVEN COMING IN BELOW MY BUDGET. Wonder what the probability of that happening is. Who am I to let a little redecoration get in the way? I’ve been attending a language school for the sum total of three days. I’m repeating French words ad nauseum (at times not even full words), doing grammar exercises, writing a crime novel, creating a weather report for a radio station… and LOVING it. The highlight of my time in France so far has not been the weather, nor the great food, nor even the beauty of arriving in a new city at the most stunning leaves-turning Autumn, nor has it been (sorry) meeting the people I’ll be working with – although all of that has been incredible, I hasten to add! The highlight of my time so far in France was an hour long lecture in a darkened room looking at slides (yes – SLIDES – as in the small individual plates of glass with pictures printed on them, not as in powerpoint) of Roman-built churches. I began the lesson in confusion – what on earth did Roman churches have to do with French Culture (the name of the class), never mind my study of the French language? It doesn’t help that I’ve been put in a class who are already one month into their syllabus. However, half way through the lesson I found myself on the edge of my seat; eyes wide, nodding eagerly, smiling even with head buzzing and heart pounding – it was incredible. For a second I saw myself through the eyes of my 19 year old student self, through the eyes of the majority of the undergraduate students around me – I was a Mature Student, ie a Nerd. Drinking in every word and idea that was being conveyed, turning it over in my mind, poking it and turning it and revelling in the process! Every so often the teacher would say “Its VERY interesting, isn’t it?” and I could hear my 19 year old self laughing – he was talking about how people used to build buildings for goodness sake! I almost rolled my eyes instinctively. And yet – and YET! – it WAS VERY INTERESTING!!! I was fascinated!!!!! What captured me most, I think, was the passion with which the teacher spoke. The way in which he had evidently lived and breathed the architecture of the time, he spoke authoritatively but philosophically. He communicated with his whole body – I have never seen anyone perform a lesson in a such a way as to evoke the language of dance. I could hear my 19-year-old self laughing and mocking his eccentricity – he was a grown man pretending to be a wall for goodness sake! I almost nudged the person beside me instinctively. And yet – and YET! – I have never before left a class feeling so inspired and alive!!!! To lower the tone slightly… The experience was made all the more special when I noticed he was wearing the kind of specs that rather than having legs which balance them on your ears, they were simply balanced on his nose. Brilliant.